SEOUL -- The world's young generation is captured by online entertainers called "creators" who upload various contents onto social media websites such as YouTube or Twitch and make profits by receiving user donations or relaying online advertisements. There are about 23.6 million YouTube creators worldwide, according to Social Blade, a U.S.-based social media market research company, and some studies show three out of four children aged from six to 17 wish to become a creator when they grow up. South Korea is no exception. Nah Hee-sun nicknamed Ddotty, a YouTube creator who is popular among South Korean children, has more than two million subscribers on YouTube and earns about $182,600 a month, according to Social Blade. Nah is a co-founder of Sandbox Network, a Seoul-based multi-channel network (MCN) company with more than 120 creators. YouTube defines MCN as a third-party service provider working with creators to offer services such as the management of digital rights, monetization of contents and audience development. Creators affiliated with Sandbox Network, which provides MCN services for digital contents, target digital natives who were born or brought up during the age of digital technology and therefore familiar with computers and the Internet from an early age. Digital natives think differently due to their early exposure to technology. 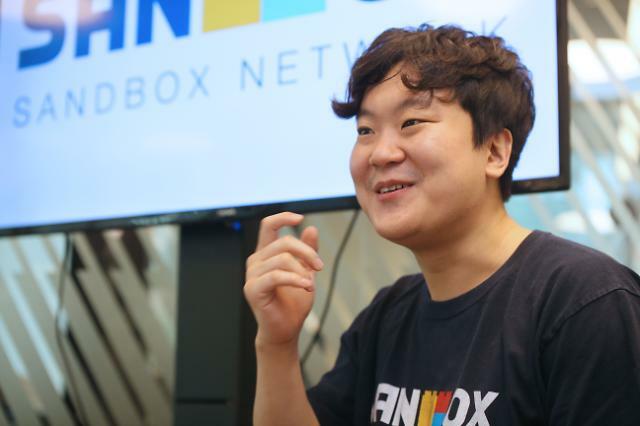 "In some ways, a creator could have more influence on people than celebrities," Sandbox Network CEO Lee Pil-sung told Aju News, describing a creator as a one-man media. To become a good creator, Lee said creators should know well about entertainment contents, understand other media and learn how to make better contents. "A creator needs to train himself by getting used to different kinds of media such as books, newspapers and films. Otherwise, it is mentally impossible to survive in this competitive market." Founded in 2015, Lee's company has grown fast to become one of South Korea's largest MCNs and compete with DIA TV, an MCN operated by the country's top entertainment company CJ ENM. To take the upper hand in the competitive market, Sandbox Network has diversified and expanded the scope of business with its creators including celebrities such as Solbi, a female singer. Sandbox creators have also set their foot in the country's broadcasting media. Among TV contents created by Sandbox, "Ddotty & Sleep Ground TV" has become the most popular show among children since it was broadcast first on a children's cable TV channel in 2016. The MCN company now seeks to expand its influence into the market for over the top (OTT) media, which is delivered directly to consumers by demand via the internet. "In the past, content providers control demand. Nowadays, consumers take the upper hand," Lee said. "Creators can be media, content, performers and producers by creating their own content," he said, adding they could exert a greater influence than entertainers in some ways. Within three years, Sandbox Network aims to create as many as ten powerful creators who can exercise their influence over generations, he said.